The server is a carrier-grade, NEBS-certified, 2U server. The first illustration shows the server with the air filter. 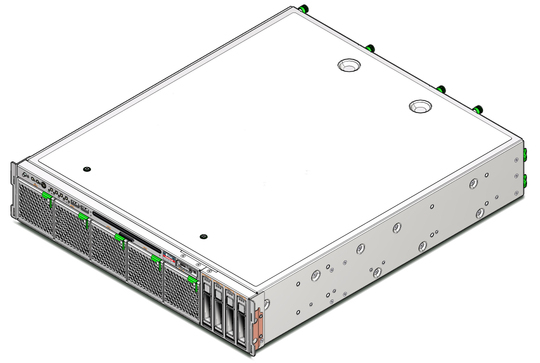 The second illustration shows the server without the air filter.